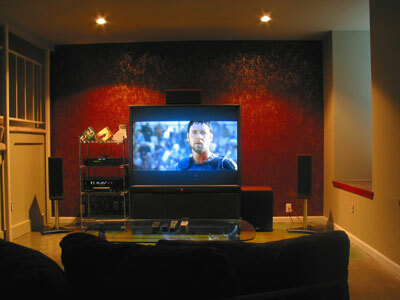 There’s no better project to transform that unfinished basement space in your home than remodelling home theater. With a bit of energy, that dull empty space can be refashioned into a comfortable audio-video room dedicated to watching your favorite movies, sports broadcasts and TV programs in Dolby Digital 5.1-channel surround sound on a big screen. 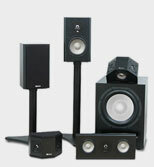 You can even enjoy gaming with family and friends, all of this enhanced by a great Axiom home theater speaker system. Switching your audio-video receiver to an all-channel stereo mode (all five or seven speakers play favorite tunes through all the speakers) will let you program your own personalized dance party. Alternatively, the room can function as an all-purpose family room with a decided home theater bias—pool table at one end, home theater screen at the other. The only requirements in remodelling home theater are some type of large-screen video system, which would include either a permanent or electric drop-down projection screen, typically with a diagonal measurement between 96 and 120 inches, some comfortable recliner seats or a couch or two, a 5.1- or 7.1-channel surround-sound home theater speaker system, and an audio-video (AV) surround-sound receiver to drive the five or seven speakers and subwoofer. A typical AV receiver like this Sherwood Newcastle R772 will usually have seven built-in amplifiers, one for each channel, and the ability to “decode” or sort out the Dolby Digital or dts multichannel soundtracks on DVDs, Blu-ray discs, and cable or satellite broadcast HDTV signals (Dolby Digital 5.1 is the audio standard for all HDTV programs). 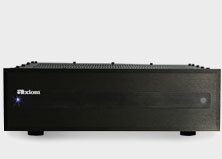 Depending on room size and budget, be sure to allocate from $500 to $1500 for an AV receiver with enough output power (100 watts per channel is ample for most rooms) to drive the home theater speaker system. 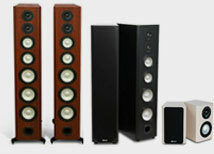 You’ll want to the big High-Definition video image in clarity and fidelity with a surround system of comparable quality. So if you spend $2000 to $3500 for the video projector and screen or an LCD or plasma display, then reserve about the same amount for a high-quality speaker like Axiom’s Epic 60/350 home theater surround system or the Epic 80/500 system. 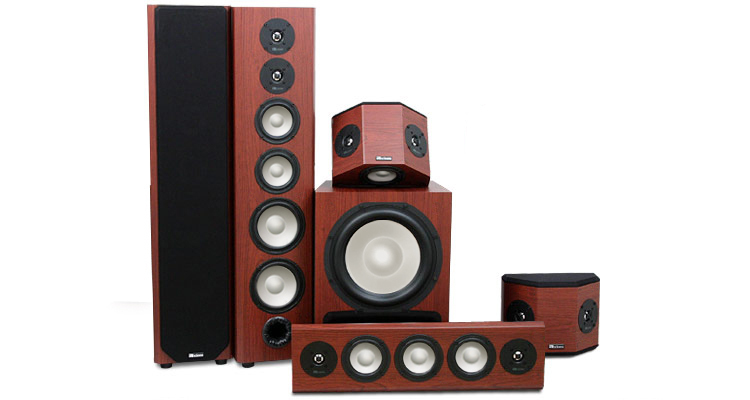 Such systems are highly capable in even quite large home theaters. 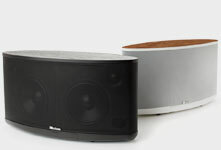 Delivered to your home, these surround speaker systems sell for $2,415US and $2884US, respectively. Depending on your budget for remodelling home theater, you can even forego a separate video projector and simply get a 50-inch to 65-inch LCD or plasma flat-panel display. The latter are much brighter than a front-projection system, which really only looks good in a totally darkened room. Most homeowners install carpet on the floor, which aids in reducing potential sound reflections that may inhibit sound clarity. Let your budget dictate how many recliner chairs or couches to install, and whether or not you want to install risers, which elevate the rear rows of chairs for unobstructed viewing of the large screen video image.The ceiling will need to be high enough to accommodate the typical large screen with enough space above the screen to allow a dialog center-channel speaker like Axiom’s VP150 to be mounted above the screen (mounting it below also is an option). You may want to contemplate installing risers, to elevate the second or third rows so viewer’s sight lines are not obstructed, and you’ll need a tall enough ceiling so that when viewers stand up on the risers, they won’t hit their heads.